Anaconda had 18 swimmers who qualified for 47 events in the London Region Age Group Championships 2018 held at the London Aquatic Centre and Crystal Palace National Sports Centre. The swimmers reached 10 finals and two medals (one silver and one bronze) and plenty of PBs. 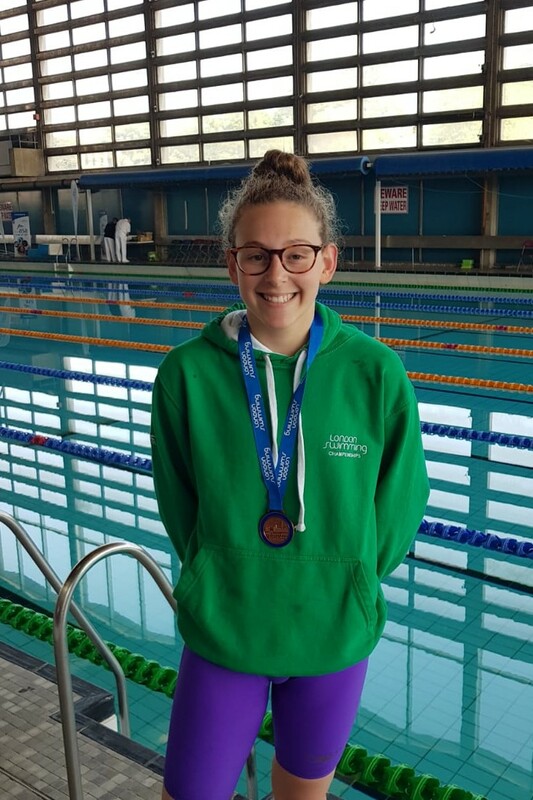 Sadie Goldin led the way for Anaconda in amazing form with winning two medals – silver in 50m backstroke (31.66) and bronze in 100m backstroke (1:08.60) with PBs in both events. Sadie also qualified for the 50m free final completing in 6th place (28.06) and the 50m fly final finishing in 8th place (31.23). Leila Shafiq improved her PB in her 50m breast heat (38.22), securing a safe place in the finals. She smashed her PB again in the final and came 4th with 37.48. Lily Waite won her heat easily by beating her PB in 50m fly (32.15). She added to that by going even faster in her final ending in 4th place with 31.94. Lily also reached the finals in 100m fly and finished 8th with a new PB (1:16.4). Evie Stansfield swam an excellent heat and final with a PB of 35.11 in 50m back and came 9th in the final. Mabel Hayes beat her PB in 50m free (30.49) and qualified for the final finishing in 9th place. Etienne Hutt also qualified for the final. 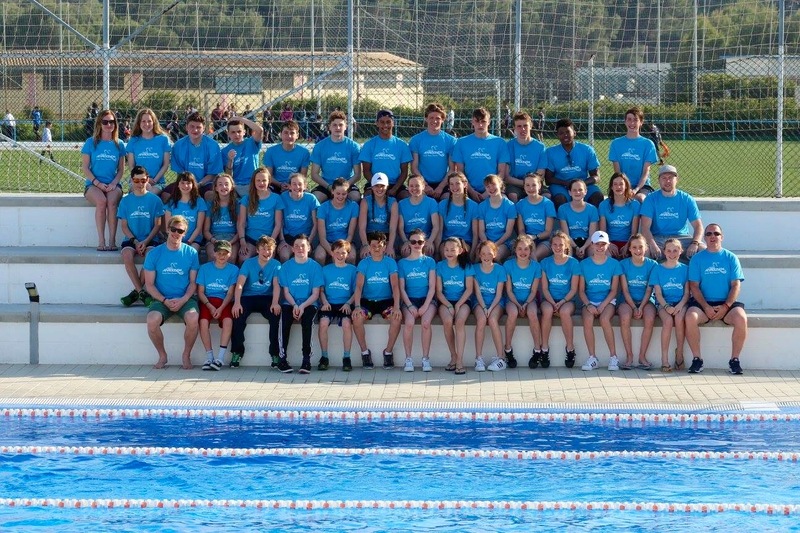 Well done to all Anaconda swimmers who secured a total of 34 PBs! Alec Selwyn, Alice Bayley, Bianca Giustiniani, Bruno Tubbs, Cyril de Montbel, Dylan Baker, Ettienne Hutt, James Brealey, Jasmina Charap, Leto Atherton, Rocco Giustiniani, Sophia Bremen and Taran Thomas.